This book discusses the future of the European Union following the failure of the Constitutional and reform treaties, examining the transformations, dynamics and major issues facing present-day Europe. What does Europe represent to neighbouring countries and how is it addressing their expectations? How could a larger Union be governed efficiently? Are European citizens willing to delegate responsibility to their leaders to tackle European integration? Is it accurate to accuse the European Union of a "democratic deficit"? 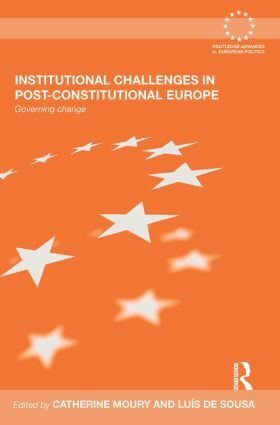 Institutional Challenges in Post-Constitutional Europe will be of interest to students and scholars of European politics, especially those with an interest in European integration/enlargement, constitutionalism, and democratization.